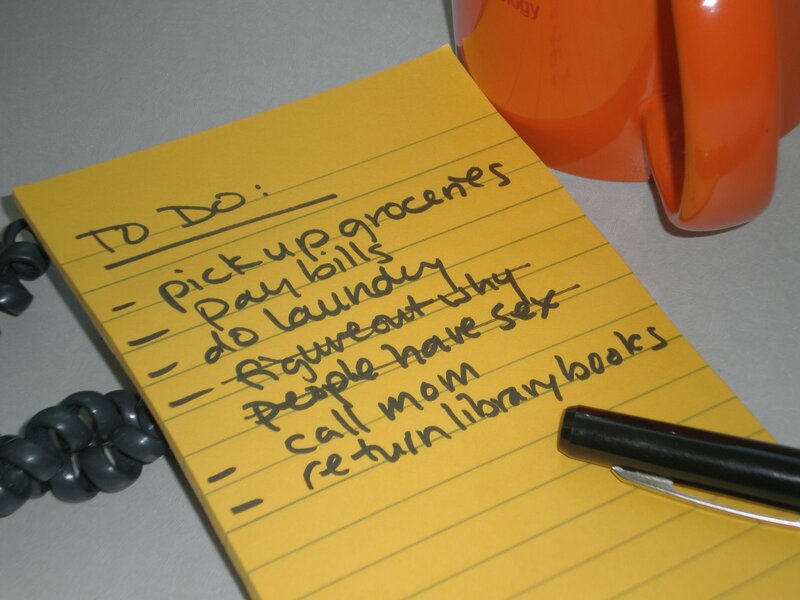 Don't worry--this isn't a post to get you stressed out about your Christmas to-do list. I feel like I have found a few kindred spirits in this blogging world--probably because it takes a certain type of person to be a blogger, especially a hard-core blogger, which I do not claim to be. So...how many other people out there love lists? I love lists. I make lists all the time. Lists of books to read, chores to do, people to call, clothes to buy, blog posts to write...I need to keep a list of all my lists. I love Google calendar. It makes my life so much easier and I love the task feature because it keeps lots of lists in one place and eliminates all the paper! This can be a good thing, but sometimes bad. I have a problem sometimes spending so much time making my lists and putting things in the best possible order that I never end up accomplishing anything. Does anyone else have this problem? That's why I have decided to stop myself the next time I start to make a list because I am overwhelmed with all the things I need to do. I need to just start doing something--I think that will get more done faster. We'll see how it goes. I make a billion lists too. When I feel overwhelmed I go with the GTD crowd and pick my top three most important things. The definition of importance varies by day. Google Calendar is great, too!! I wish I made lists. When I make them...I lose them, maybe we could reach a nice middle ground together!